Delivering efficient transfer over a wide range of head and viscosity conditions in sanitary process industries, the TOP-FLO® TF-C Series Pumps are available in standard and enlarged inlet sizes. All sanitary seals meet 3A standards, and Type F seals are available with a water cascade attachment for pumping tacky or hot products or for vacuum applications. 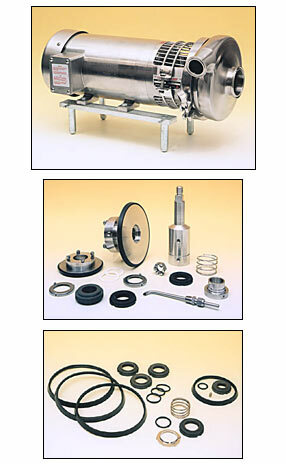 Casings are available in a wide variety of port connections to suit your process system.